Please note this article was first published in 08 Jun 2010. Its content may now be out of date. We recommend taking a look at more recent website building blog posts or check out our comprehensive support pages. If you are looking for information on our 14 day free website builder trial we have a large number of webpages that guide you throug the process. 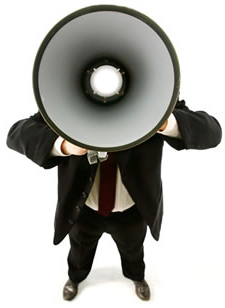 Word of mouth is probably one the most trusted and effective methods of advertising. If you consider the way you’d react to a tv, radio or press advertisement claiming how great something is and then compare that to your response to someone you know and trust telling you about a really good product, service or company that they’ve found and recommend. You’d be far more likely to go with what your friend says wouldn’t you? So when you build a website, how can you help to generate more word of mouth about your company, products or services? When someone finds your website and likes what they see, it’s vital to make it really easy for them to tell their friends about you. Equally, you should make it easy for your existing customers to spread the word too. The easiest way to do this is to add a “Tell a Friend” link to all your primary pages. The best part is that it’s really easy to do too, so follow the steps below and get those tongues wagging! 3) and in the Message Body enter: Hi (friends name), I found this great website, which I thought you might be interested in. The address is: https://www.yourwebsiteaddress.com/co.uk. Let me know what you think. As the majority of the email has already been filled in by you, all your website visitor needs to do is add their friend’s email address at the top, type their name in at the bottom and click “Send”. Quick and Simple! Also, don’t forget that the recipient or recipients (if the visitor has been a real superstar and sent it to a number of friends!!) could well forward this email to their friends too. And so the power of “Word of Mouth” begins. And the best part is that it’s all spam safe marketing, as these are simply friends emailing friends! Perfect. Copy and Paste this same link onto your other primary pages. Save the page so that you’re looking at the live version. You can view the live page while still logged in by clicking “Test your Website” –top left button on your control panel. Highlight the link image / text – then right click and go down to copy or press Ctrl + C on your keyboard to copy it – this will copy both the text and the link properties as well. Now go to the next page, place your cursor on the page where you want the link to appear then either right click and go down to paste or press Ctrl + V on your keyboard to paste it. Now save the page and test the link. Please remember, this article was first published 08/06/2010. The content may be out of date and you cannot post comments any more. Please check out our new blog.